Audi has added a new trim level to the A4, A5 and A6. The Ultra range will focus on improving fuel economy and cutting emissions with updated gearboxes and a new 2.0-litre diesel engine. The A6 2.0 TDI will be the first model to get the Ultra option, with prices starting at £32,515 and deliveries commencing in late March. The A6 Ultra gets a new 2.0-litre diesel engine with 190PS and 400Nm of torque, while the eight-speed multitronic CVT is scrapped in favour of a redesigned seven-speed S tronic twin-clutch ‘box. Audi claims the new combination will improve the saloon’s fuel economy to 64.2mpg, with emissions dropping from 132g/km to 114g/km of CO2. Similarly equipped Avant models offer up to 61.4mpg with 119g/km (outgoing equivalent 55.4mpg, 135g/km). 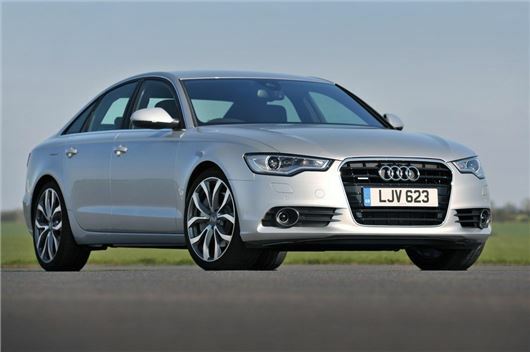 Benefit-in-kind liability for drivers of the A6 2.0 TDI with the new 190PS ultra engine and new S tronic transmission falls from 21 per cent in the outgoing version to 17 per cent. This equates to a total annual charge for a 40 per cent tax payer of £2380. Likewise, road tax falls from Band E (£120 per year) to Band C, which means The A6 will cost just £30 a year to tax. A6 Ultras get special badging at the rear and also feature full leather upholstery, 6.5-inch retractable colour display and DAB digital radio. Sat nav, cruise control and Audi’s parking system plus are also standard. Manual transmission versions of the A6 will be available later in the year, along with Ultra editions of the A4 and A5, which will boast CO2 emissions from as little as 104g/km.